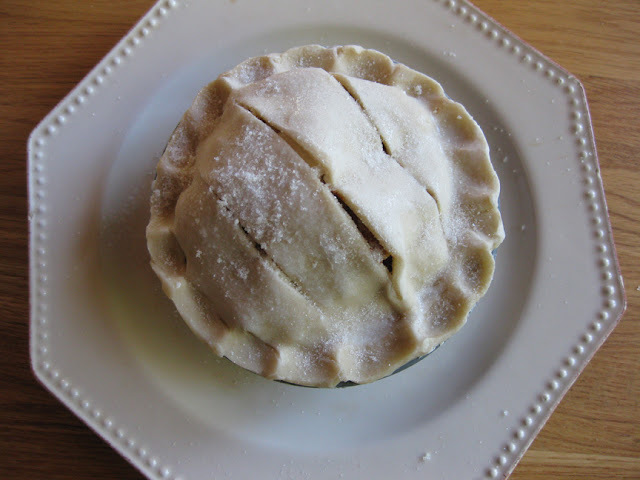 Remember last month when I made and froze a bunch of pies? No? Well, maybe I forgot to tell you about making extras and freezing them, but I did it. Today I was very happy with myself. I'm feeling a little under the weather, probably just allergies or something. 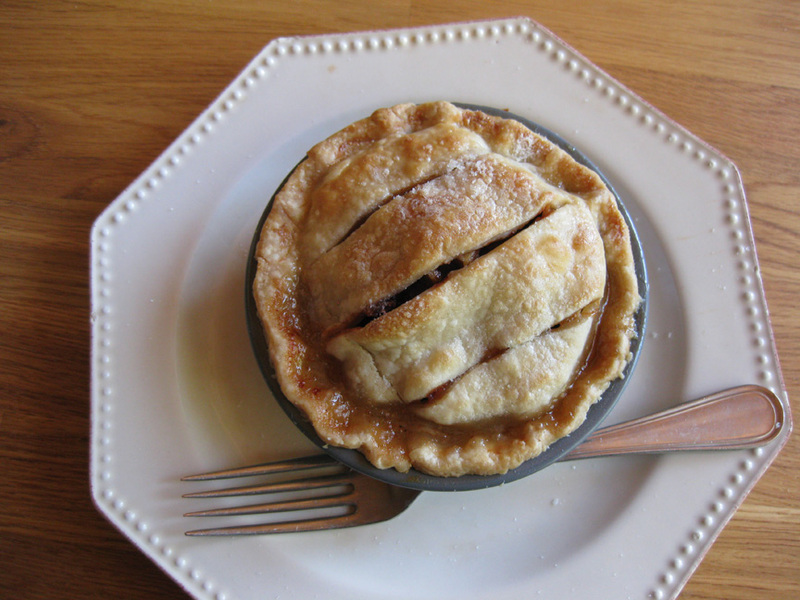 I needed a little treat, and this mini-pie is going to do just the trick. Yum, I'm going to go eat it right now! Just out of the freezer, brushed with milk and sprinkled with sugar. As for national book month maybe I'll share a few of my own favs too!